Supreme Court Ruling protects student's right to sell foreign purchased copies for profit. On March 19, 2013, the U.S. Supreme Court, in an opinion by Justice Breyer, ruled that foreign-made copies of works protected under the U.S. Copyright Act are subject to the “First Sale Doctrine”. The decision comes as a blow to U.S. publishers and other content creators who wish to exercise greater control over distribution (and pricing) of works they own. The First Sale Doctrine is a provision of U.S. Copyright law (17 U.S.C., Section 109(a)) which gives the owner of a lawfully produced copy of a copyrighted work may freely dispose of that copy. This includes the right to re-sell the copy. Thus, the creator of a work, the owner of the copyright gets to sell each copy once. After copies are in the chain of commerce, the copyright holder can no longer exercise control over how they're transferred, sold or traded between consumers. When Supap Kirsaeng, a native of Thailand came to the U.S. to study, he discovered that the text books he was using were far more costly in their U.S. Editions than the exact same books he could purchase in his home country and elsewhere abroad. Like any saavy entrepreneur, he had family and friends overseas purchase quantities of such books, which he then sold on ebay, turning a neat six-figure profit. When Wiley Publishing, the copyright owner of the works in question learned of this, it, predictably, sued. At trial, a jury awarded Wiley $600,000, and Kirtsaeng appealed. Wiley's argument was that the First Sale Doctrine only applies to works originally made and sold within the U.S. (i.e., under U.S. Copyright Law). 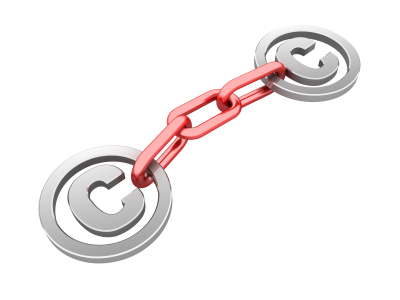 This notion is supported, Wiley claimed, by the existence of other provisions in copyright law designed to allow copyright holders to control imports. Kirtsaeng argued that the law's wording has no such geographic limitation, and spoke of a “parade of horribles” if the First sale doctrine were to be expanded as the plaintiff's proposed. The Justices dissenting in the case were Ginsburg, Kennedy and Scalia, who view the “parade of horribles” envisaged by Kirtsaeng's counsel and adopted by the Court as “largely imaginary”, and unlikely to manifest in the real world. They go on to warn that the ruling has fundamentally reduced the significance of the Copyright Act's illegal importation clause. The case has obvious ramifications for the publishing industry, but also for the music, film, and technology industries, all of which depend on the ability to protect their intellectual property. An MPAA spokesperson is quoted expressing concern that the decision will hinder U.S. Businesses' ability to compete overseas, and will harm the U.S.' long-term economic interests. Entertainment and I.P. Lawyers are divided on whether the Court has held correctly. If you are the owner of intellectual property assets, such as motion pictures, books, or other content, you'll want to examine this ruling's ramifications for yourself. It's not, however, time to panic. The First Sale Doctrine applies only to lawfully manufactured copies. (i.e., those made under a license). It does not permit unauthorized copies to be made or distributed, nor does it limit the rights of public display or performance. Ultimately, then, the Court's ruling will have little or no impact on the right of a copyright owner to pursue bootleggers and other infringers. Even those who import their goods into the U.S. Anti-Counterfeiting law remains strong in that arena. Did the Supreme Court come to the right conclusion? Will this ruling have the dire impact on U.S. Content Industries that Wiley and the MPAA predict? Should Congress step in to clarify the law, possibly altering the operation of the First Sale Doctrine? 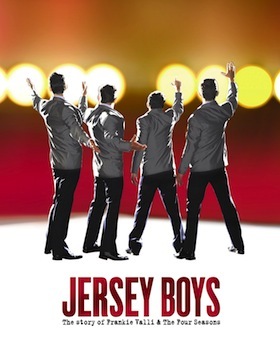 Last week, in an interesting (and rare) theatre law case, the 9th Circuit Court of Appeals affirmed a district court's judgment in favor of the company producing the Broadway hit musical Jersey Boys. SOFA Entertainment, Inc., owner of the Ed Sullivan Show footage had sued Broadway Producers , Dodger productions, Inc., over the show's use of a 7-second clip from a January 1966 episode in which Sullivan introduced the pop singing group. Purpose and Character of the alleged infringing use. Here is where SOFA's case really falls apart. In fact, the plaintiff even conceded that the clip used was not quantitatively significant, but instead argued that it included “one of the central and most beloved parts of the Ed Sullivan Show”. The Court didn't buy it, holding that the footage didn't contain any “qualitatively significant expression”. The court kept it brief, finding that this factor favored a finding of Fair Use because “Jersey Boys is not a substitute for the Ed Sullivan Show”, essentially ignoring the argument that SOFA's business is founded on obtaining fees for licensing content from its extensive library. (Sofa had presented almost no evidence on this point in its pleadings). The Court also affirmed the district court's order granting attorneys' fees to Dodger. The Court found that SOFA should have known that it had little chance of success. This case, though straying a bit from current copyright jurisprudence, does seem to continue the trend toward requiring copyright owners to consider carefully before pursuing questionable claims. Interested in learning more about how producers produce? Check out Theatre Producer Academy and learn how to produce plays and musicals without losing your shirt, or your sanity!